The Pittsburgh business community is welcoming the Business Choice Awards, a program that recognizes the remarkable impact that area businesses have made in the past year in the Pittsburgh region. Join us at this one-of-a-kind event. Nominations in more than 80 categories will be accepted at BusinessChoiceAwards, starting on January 1st, 2019 with voting by the public to follow. 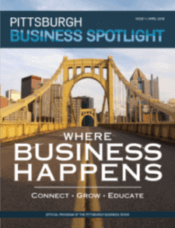 Winners from each category will be awarded on May 14, 2019, at the Pittsburgh Business Show. This awards program was created by DoYouKnowAGood.com, a 15-year-old Pittsburgh company which helps businesses establish and promote their reputation. This award was designed for people to recognize their favorite Pittsburgh-area business by nominating them at BusinessChoiceAwards.com. Dozens of business categories ranging from software development to retail to real estate are available, and any business’ information can be entered into the nomination platform. Once a nominee is accepted, the business can fill out the entire profile, then continue to edit their profile in order to share their information with their customers, clients, and the public to gain votes. Voting will begin on March 1st, 2019 and ends on May 1, 2019. The number of votes received will determine the winner in each category, and winners will be announced at the Business Choice Awards event on May 14, 2018, at 12:00 p.m. at the David L. Lawrence Convention Center. The winners of each category will receive a Business Choice Awards plaque and runner-up businesses will be recognized at the Show on the main stage, in the show program, and online throughout the year on the Business Choice Awards website and on social media. Contractor - Rex Glass & Mirror Co.